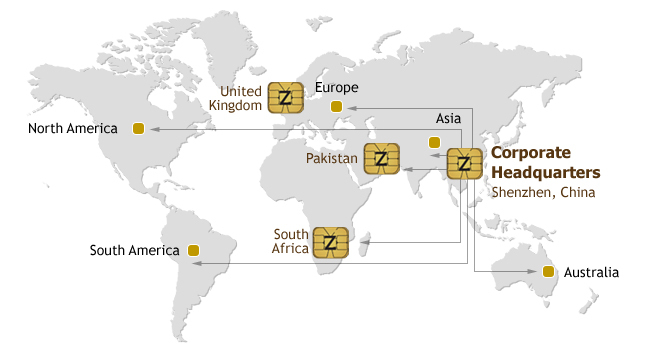 Cardzgroup is a Western-owned and operated company formed by senior management previously with Gemalto. We offer clients the ability to harness the low-cost production base of Asia without being subjected to the quality and reliability risks inherent to doing business in this region. As a European company, we ensure the highest Western standards of quality and service and stand behind our products 100%. Our mission within the card industry is to offer highly competitive worldwide pricing backed up with exemplary quality and service that has traditionally not been offered from card organizations in China. In our experience, there are many Chinese companies willing to offer low pricing and cheap alternatives, but these come with a high rejection risk and quality deficiencies. We know it is difficult for western organizations to deal directly with Chinese suppliers due to differences in culture, communication and quality standards; we exist to solve these problems for our clients, allowing them a competitive cost advantage while eliminating the quality risks. Through our suite of world class procurement, logistics, and customer support, we manage your requirements throughout the entire manufacturing process from purchase order to final QC and shipping. Cardzgroup offers the complete card product range - PVC Cards, Contact Smartcards, Contactless Smartcards, Scratch Cards, SIM Cards and Banking Cards (Visa & MC) as well as alternate form factor RFID products including keyfobs, wristbands, labels and tags. The reputation Cardzgroup has built in the worldwide market has enabled us to deliver card solutions that are widely regarded as top of class in price, quality and service. This has only been achieved through thorough understanding of the Chinese manufacturing culture, the Chinese card industry, and the unique approach to business a company must have to be successful in the region.